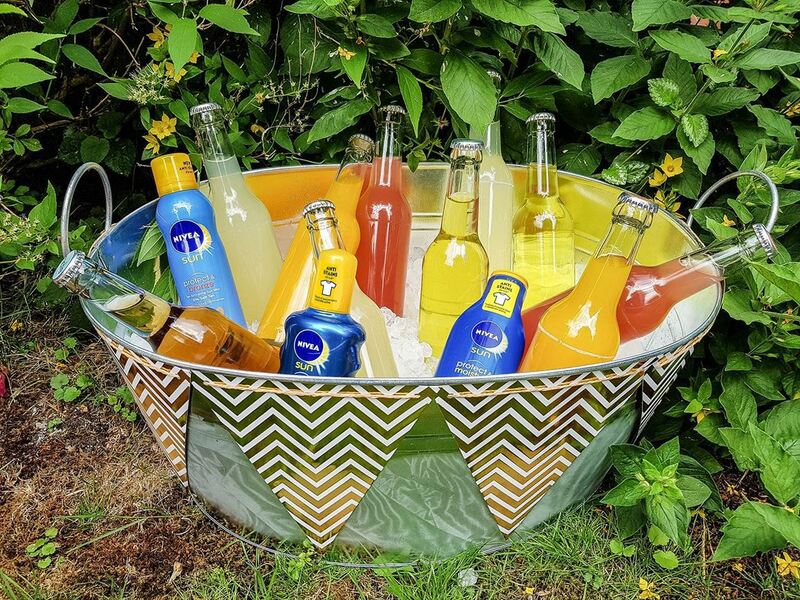 You’re planning a big summer party and are looking for decoration ideas? We have put together some inspiration for easy decoration. Find decoration ideas for your next garden bash here. Summer is the perfect season to host garden parties for your family and friends. And you have to make sure you have the perfect decorations. We like to keep it simple while still making sure that some fun and stylish touches shine through. How about reusing a pineapple peel and turning it into a vase? And what's the best way to serve ice-cold drinks? We have put together some inspiration for you, so your next summer garden party will be a total success. Check out our ideas for easy and stylish decorations! You’re tired of the same old glass vase? How about making it fruity by putting orange slices into the water? Your vase will get a totally new look with this easy addition. A combination of flowers and candles is always a good idea for garden party decoration. Put different coloured flower heads in a big bucket filled with water. Floating candles add a nice touch to it. And when it’s getting dark, you can easily light them up for a more romantic mood. If you’re making a fruity drink with fresh pineapple - don’t throw away the peel! Pineapple peels make for great vases. Add the vase to your buffet and get the exotic vibes right to your garden! 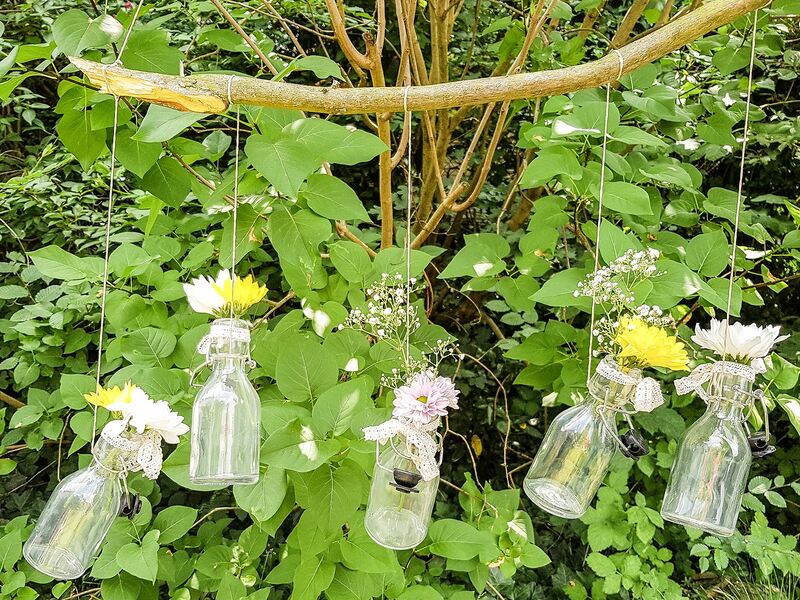 For this decoration idea you only need empty bottles, some ribbon and a small tree branch. Tie your bottles to the branch and let them hang down from it. Now you have cute vases for a few flowers each! 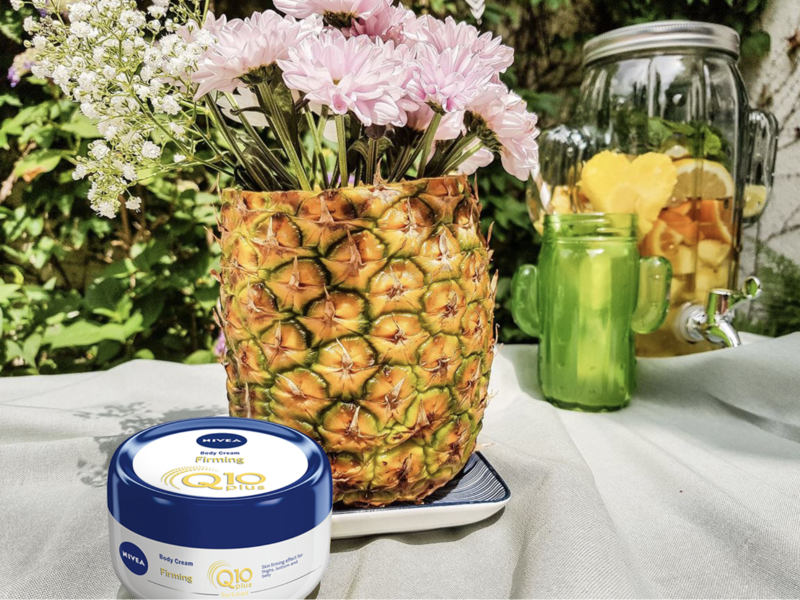 Being outside all day can be tiring — not only for yourself, but for your skin as well. 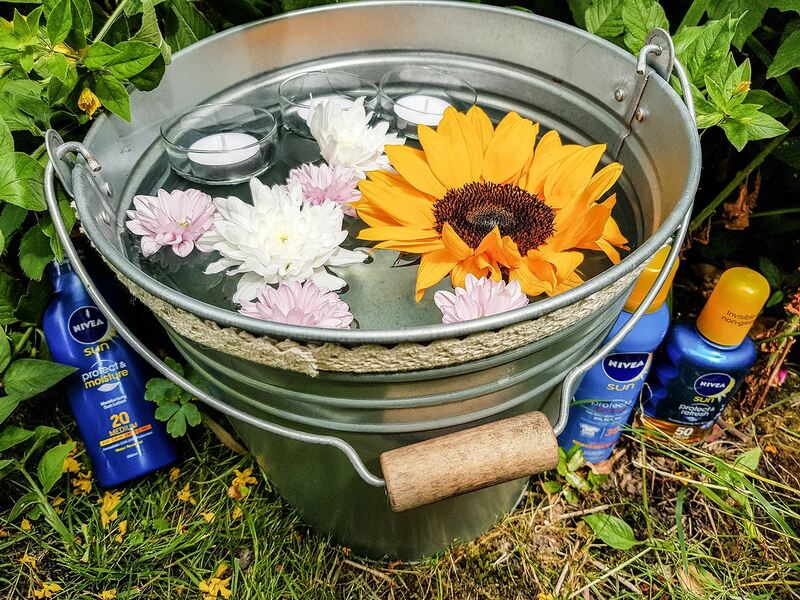 How about having a Sun Station in your garden for your guests? 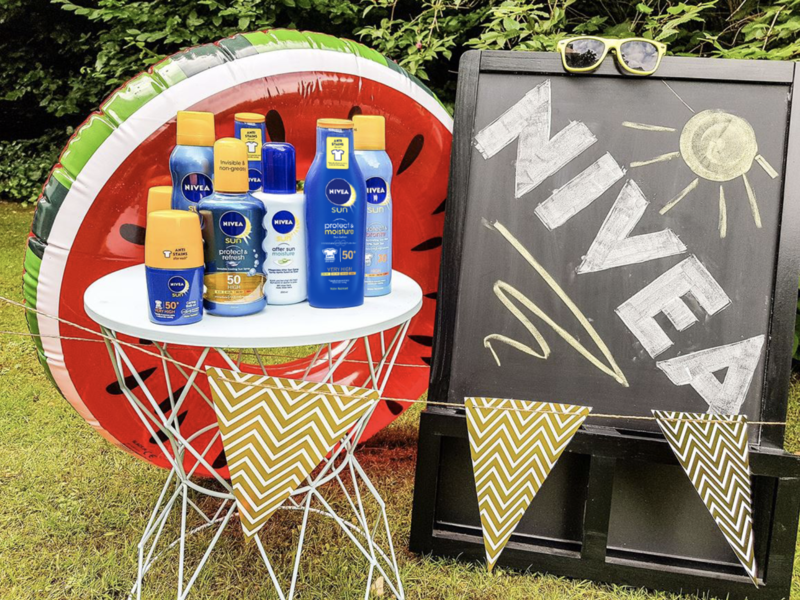 Everyone can use whatever they need — be it sun protection or a moisturising after sun care. Decorated with a nice garland, the washtub is also a stylish accessory for your summer garden party! 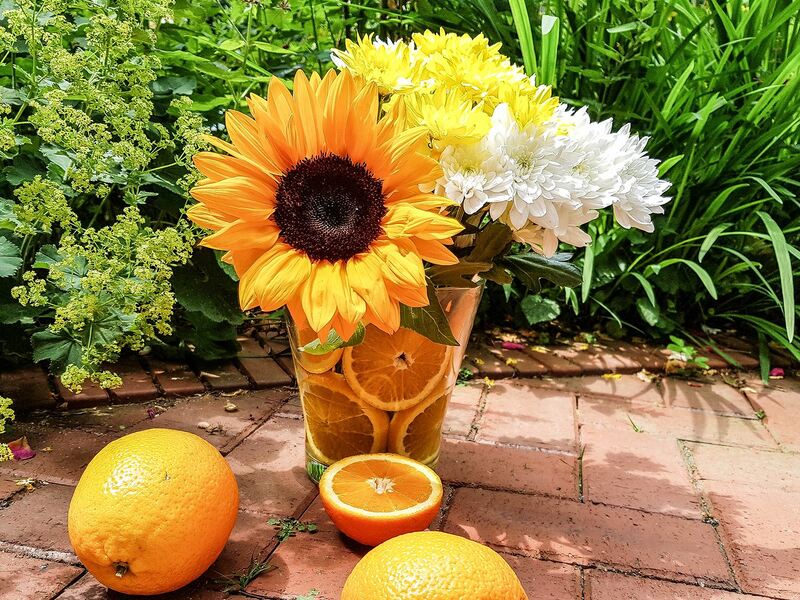 Are you looking for easy snacks and drinks ideas for your garden bash? Click the link below to check out our tips and ideas! You have got everything planned for your summer party but don’t know what to wear? No worries! 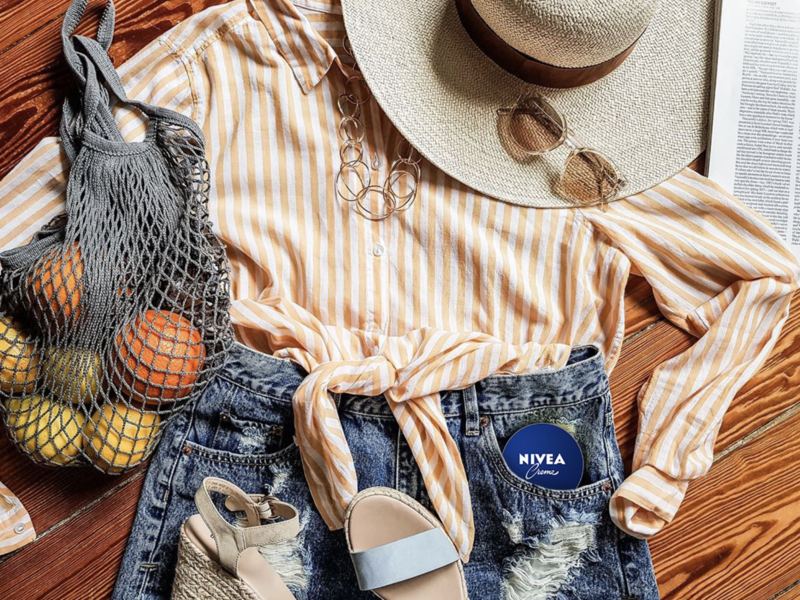 We have put together some cute summer outfit inspiration, so you will be the star at the next garden bash! Check it out by clicking the button below. Your summer outfit is only complete with the hairstyle that meets the sunny season! 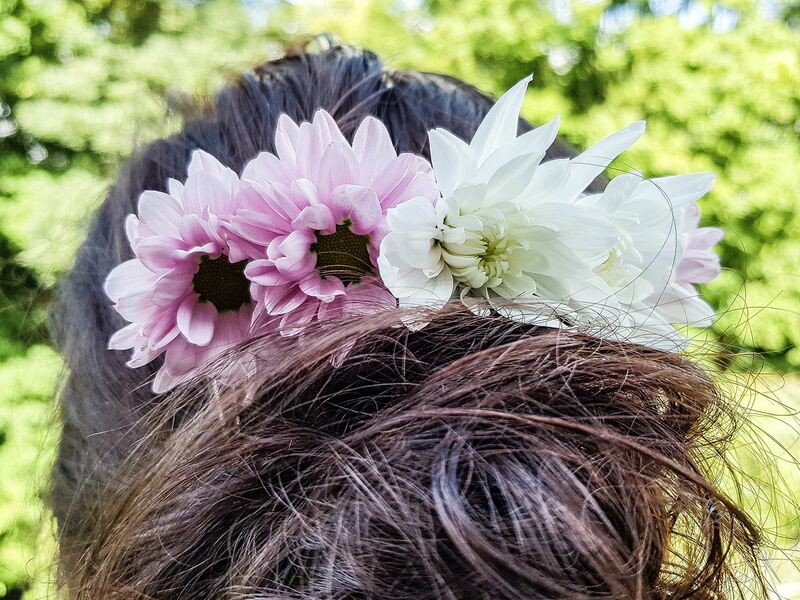 How about creating a cute hairdo with flowers? We have gathered some information and inspiration on summer hairstyles with flowers. Click the button below to find out more.